If you are seriously injured, don’t move, especially if you have experienced a spinal or neck injury! You could make the injury worse. If you are able to move yourself, get someplace safe and out of the way of traffic. Try to remain calm and check for any injuries that may require immediate medical attention. If there are any injured people or seriously damaged vehicles, call 911 right away and file a police report for insurance purposes. Automobile insurance should cover the cost of any medical treatment needed. If you are not seriously injured, take as many pictures as you can and include all angles of the car, the location of the accident, and any injuries that have occurred. Collect the contact information for any drivers that were involved in the accident. You will need these for insurance purposes. Even if you don’t experience immediate pain, it is essential to seek out medical treatment. There are many cases where symptoms including soreness, stiffness, discomfort, and pain don’t present themselves until days or even weeks after the accident. Even the most minor of auto accidents can lead to severe injuries if the body has been pushed, stretched, or twisted abnormally. Chiropractic care is the right step to take to return your body to health after an accident. 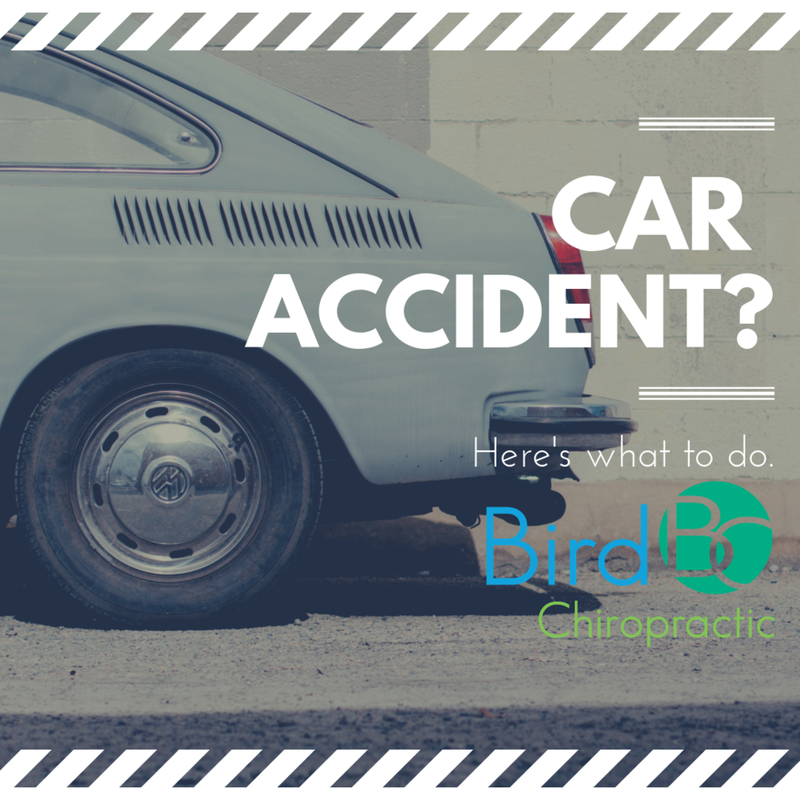 If you or someone who know has been injured in an auto accident, be sure to see one of our chiropractors. It is our goal to provide you with the best care available and get you back to optimal health! Newer PostIs Dehydration the Cause of your Back Pain?